A US House of Representatives subcommittee discussed legalized sports betting and whether the federal government should intervene nearly a month ago. Naturally, state regulators, as well as the American Gaming Association, opposed such inclusion. And now, a new group has formed to potentially preempt federal involvement. Following the subcommittee meeting in late September and last week’s Global Gaming Expo in Las Vegas, the US State Gaming Regulators Forum formed the US Sports Betting Forum. That forum includes the director of the NJ Division of Gaming Enforcement, David Rebuck, as well as regulators from other states with legal sports gambling. The group could end up impact NJ sports betting down the road, depending on the recommendations and findings from the panel. What is the US Sports Betting Forum? While by no means required, the participation of states either with or looking into launching regulated sports betting is encouraged by the US Sports Betting Forum. The UNLV International Center for Gaming Regulation would serve as the “independent organizer and secretariat,” according to the release. The forum, meanwhile, will spark communication across state and tribal boundaries to maintain state and tribal regulatory oversight of the sports betting industry. Throughout that Thursday morning, discussions surrounded the necessity, or lack thereof, of the federal government stepping in with an overarching regulatory framework to better protect the integrity of legalized sports betting. While several witnesses spoke of the evil of sports betting, AGA senior vice president of public affairs Sara Slane attempted to calm nerves. After all, among the things those anti-wagering witnesses clamored for were already in place in existing states, including NJ sports betting. The statement from the newly formed forum invites representatives from sports betting stakeholders to participate in the forum. Mississippi already has legalized sports betting, and PA sports betting should roll out later this year. Legislation has been considered in the other two states. Grant Lucas is a longtime sportswriter who has covered the high school, collegiate, and professional levels. 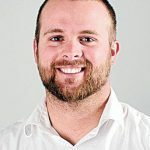 A graduate of Linfield College in McMinnville, Grant has covered games and written features and columns surrounding prep sports, Linfield, and Oregon State athletics and the Portland Trail Blazers throughout his career. Next Next post: Is A Merger Between Caesars And Golden Nugget In The Cards? ©2019 New Jersey Gambling Sites. All rights reserved.